Even if you can't remember the 1960s, you know it was a time when style, fashion, and even our way of life truly changed. 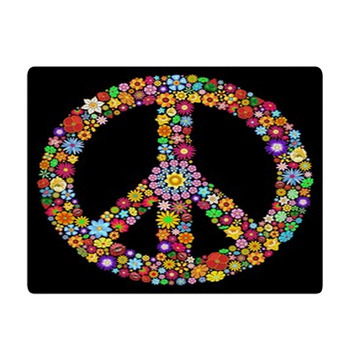 This groovy era is represented on our 1960s bath decor, with bright vibrant colors and all the symbols made memorable by this powerful part of history. From flower power and the hippy movement to the British invasion of rock and roll music and much more, the 60s were a time when anything seemed to be possible and style and aesthetic were brought to the forefront of culture. 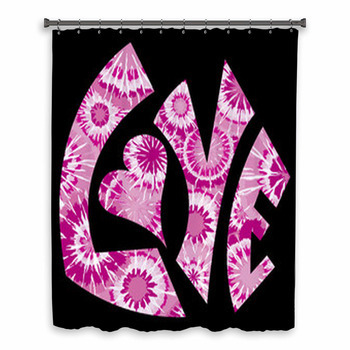 The classic love and peace mentality can be shown on our shower curtains with a pastel pink heart and a comfy rug with bright colorful flowers. 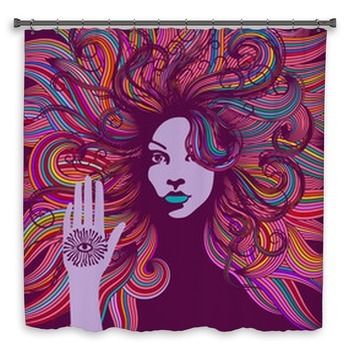 A towel of psychedelic illustrations straight from the corner of Haight and Ashbury will light up with far-out colors and designs. 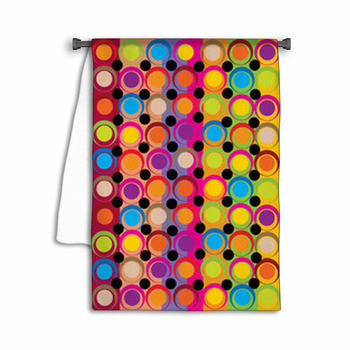 Our array of multicolored 1960s bath mat artwork will bring that true retro vintage flair into your bathroom. All of our bath decor products, from bath mats to towels to shower curtains, are all customizable based on your 1960s nostalgic wants. 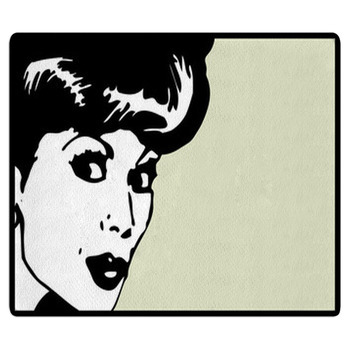 On any of these products, you can combine your own photos from the 1960s with background images from our website. 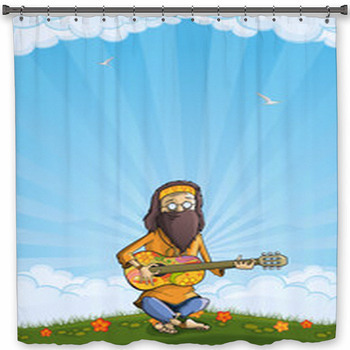 You can combine a guitar playing hippy with a peace symbol to make the grooviest shower curtain since Woodstock. 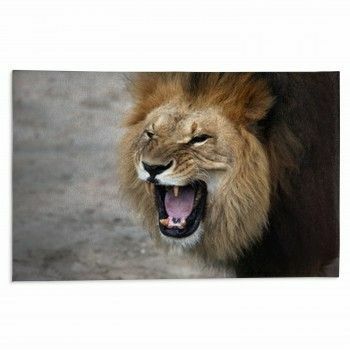 Our products come in standard sizes as well as custom ones so you can add a touch as personalized to your bathroom as you did to your jeans in the 60s. 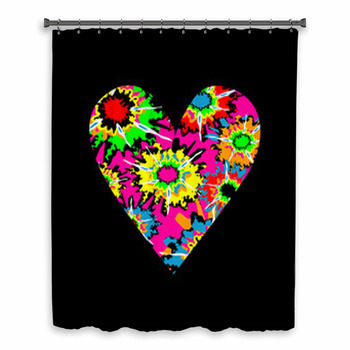 Andy Warhol style pop art looks great on bath and hand towel, and so does a lone hippy sitting and playing guitar. 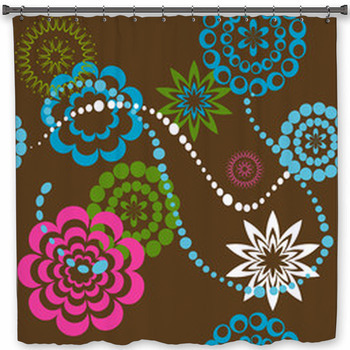 Teenagers love the cool styles from this time period and would be thrilled to have their 1960s bath decor. 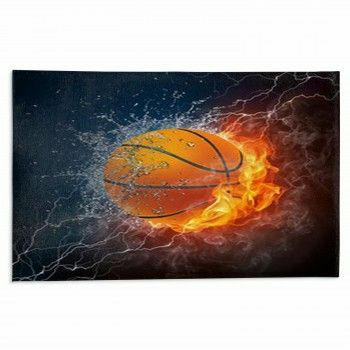 Classic styles are more popular than ever and make great interior design themes. 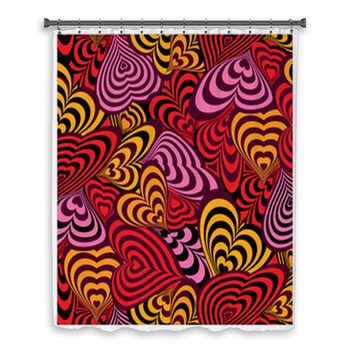 Make your entire unique bathroom your very own 60s paradise with VisionBedding's bath decor.